RG58 / AU Stranded, 95% Braided, 1000 ft. 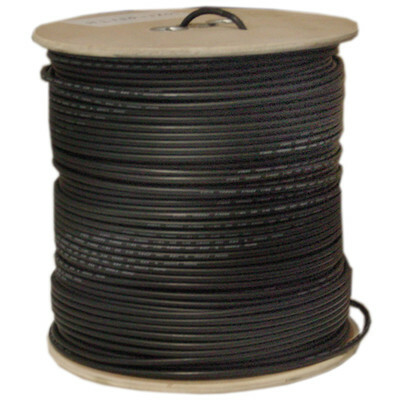 This is a bulk reel of 1000 ft, no connectors. This cable has several uses. It was once used as Thinnet Ethernet prior to the rise of CAT5e, CAT6 and CAT6A. One of the main current uses is for two-way radio communications such as CB radios. high quality and just as expected.